We envision a vibrant, affordable, and resilient local food and agriculture economy in the Missoula community with an educated consumer base that creates sufficient demand for local food. Our community will enhance Missoula's water resources and floodplains so they have the resiliency to withstand new pressures imposed by climate change and continue to provide clean water and ecosystem benefits to our community. Develop and deliver educational materials for producers that will assist them in understanding the differences between normal weather fluctuations and long term climate change, as well as provide information on the agricultural crops, varieties, and methods most suitable for our area. Develop and deliver educational materials for irrigators and incentivize implementation of educational materials to improve irrigation methods to conserve water and reduce sediment, fertilizer, pesticide, and herbicide runoff into waterways. Develop and deliver educational materials for community members to establish a consumer base for local foods by developing the message and distributing it to the general public. Develop and implement a curriculum around local food, climate change, and food security for local public schools. Continue Farm Field Days. Expand CFAC sponsored "Beginner Farmer Education" programs throughout Western Montana. Encourage and incentivize personal and neighborhood backyard fruit and vegetable gardens. Create or expand facilities to source and distribute local foods; work with Western Montana Growers Co-Op and the Missoula Food Co-Op, and other commercial food processing centers. Encourage CSAs, direct markets, and urban gardens, etc. and provide support incentives for these projects. Analyze the need and start planning for local food processing plants to include a mobile animal slaughter unit. Conduct outreach on newly passed state legislation regarding "cottage food industries." Support policies in the Missoula County revision of subdivision regulations that will more effectively mitigate the loss of agricultural land to development. This is ongoing through the Community Food and Agriculture Coalition (CFAC). Build support for and pass a new Open Space Bond. Review other proposed tools for preserving agricultural land to enhance future food security. Help with outreach for meetings, public comment periods, and additional events. Learn more about some of the organizations working to expand and strengthen our local food system. The Missoula Community Food Co-op, The Missoula Farmers' Market, the Clark Fork Market, and the Missoula Valley Winter Market! Why cities fighting climate change should take a look at food policy. Article from October 2017. The MSU Extension just published a guide about how agriculture can respond to climate change (July 2017). There's been a lot of media coverage of the nexus of food and climate lately - Anna Lappe has a good article on the big picture. Our May 2017 Monthly Meetup was all about local food and climate change. Check out the recap on our blog: Getting down and dirty! Check out this short video on food and farming from the Climate Listening Project. 3 minutes. Good stuff. Hear from Beth Schenk, one of our Leadership Team Members, on the importance of local agriculture! 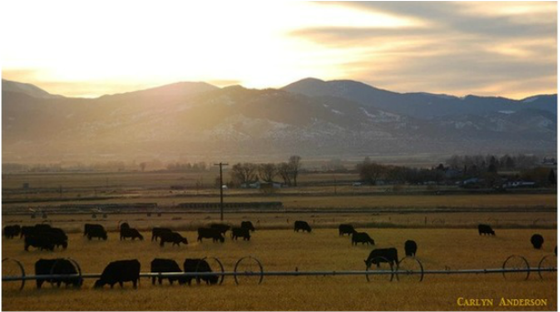 Check out the Montana Farmer Union's Report, The Impacts of Climate Change on Montana’s Agriculture Economy, to learn more about how climate change will affect agriculture in Montana. 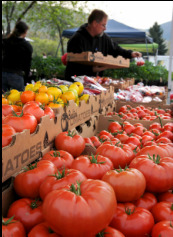 The Missoula Community Food Co-Op now honors double SNAP dollars on produce and whole grains! Check out Montana farmers featured on the Climate Listening Project, a storytelling platform for conversations on climate change and community. Thirty Ways Cities can prepare for global warming - with a focus on Urban Agriculture. Learn why cities are considering local food in their climate policies in this short video from the U.N. Wondering how other communities are encouraging local food and agriculture? Read more about SNAP innovations around the country! "We need to reduce the carbon imprint of beef - mobile slaughtering, grass fed, grass finished." "We need state legislation allowing/supporting/mandating land use and development tools that permanently preserves agricultural land, and the same for the County and City." "Support the Burns Street Food Hub."